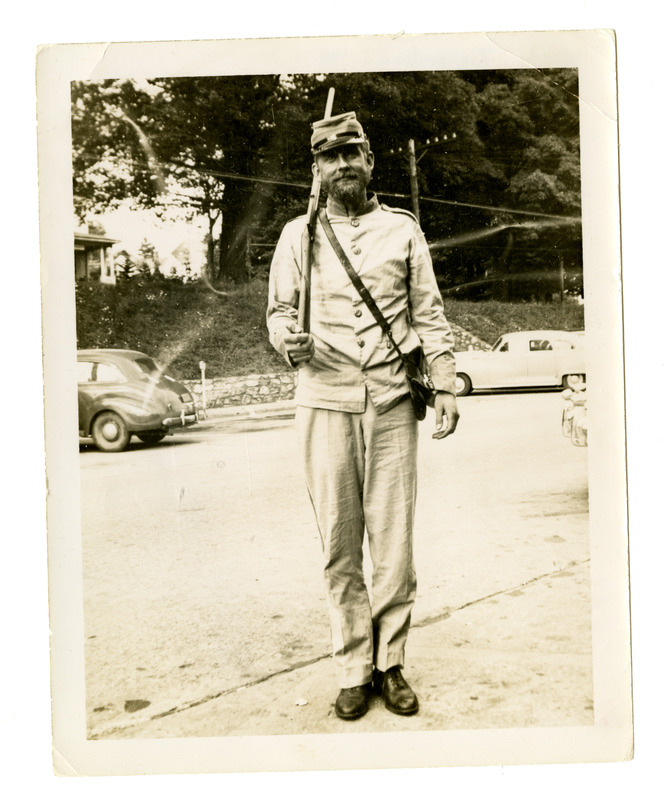 Woody Richardson wears a replica Civil War military uniform on a sidewalk as part of the 1949 Centennial, possibly in front of the Jones House in Boone, NC. He carries a rifle on his shoulder as well as a satchel. A road, two parked cars, some trees, powerlines, and a low stone wall can be seen behind him. 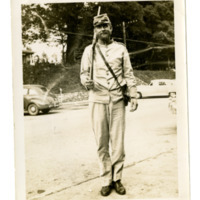 Unknown, “Woody Richardson,” Digital Watauga, accessed April 25, 2019, http://digitalwatauga.org/items/show/5826.